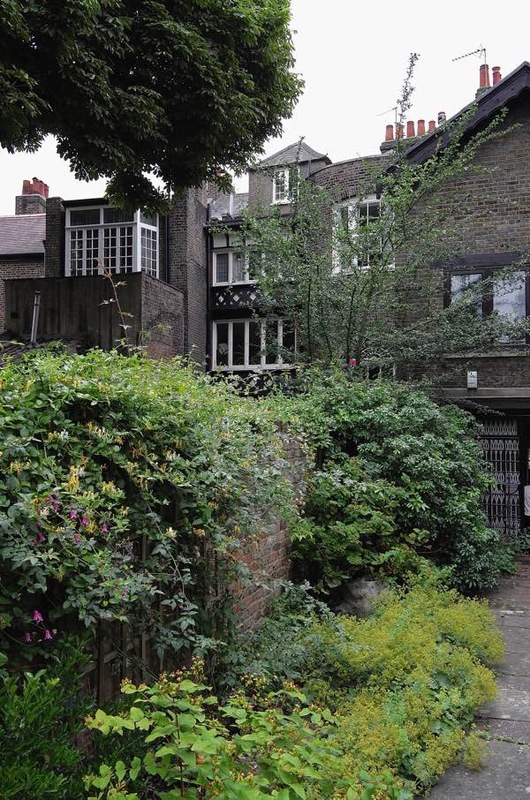 I have walked past William Morris’ former house on the river bank in Hammersmith many times and always wondered what it was like inside but, since it is now a private dwelling, I never expected to visit. 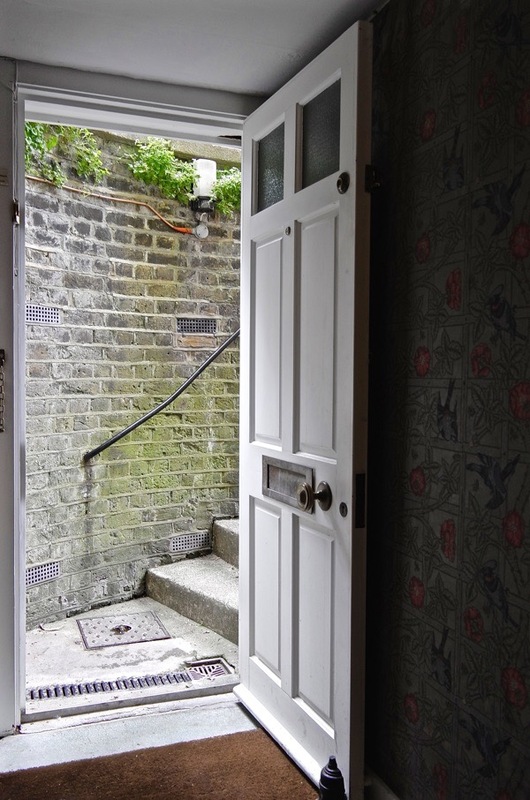 However, the residents kindly open their doors to members of the William Morris Society once every two years and thus, a couple of weeks ago, I was permitted to join the tour. 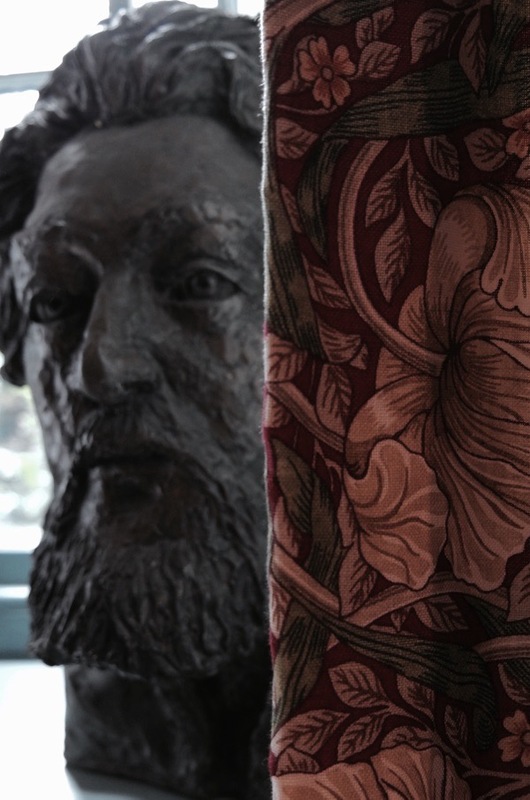 William Morris was forty-three years old when he came to live here. It was to be his last house in a succession that began with his childhood home in Walthamstow and included the Red House in Bexleyheath, designed for him and Jane as their marital home by Philip Webb, and the sixteenth century Kelmscott Manor by the Thames in Lechlade. The rural idyll which William Morris hoped for at Kelmscott Manor had been sullied by the overbearing presence of Dante Gabriel Rossetti whose obsession with Jane Morris had led him to take up permanent residence. 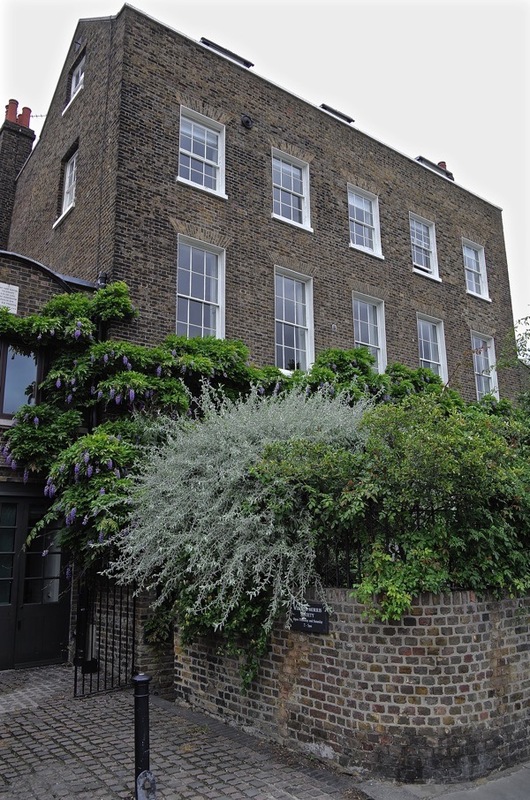 Built in the seventeen-eighties, the house was known as The Retreat and had once been the home of Sir Francis Ronalds, inventor of the electric telegraph, who had filled the long garden, which stretched all the way back to King St then, with buried cables as part of his experiments. When William Morris came here and renamed it Kelmscott House, it had been the home of the novelist George MacDonald for a decade. However – somewhat ominously for Morris – they chose to leave since MacDonald believed that the proximity to the polluted river was responsible for his family’s ill-health. In those days, the riverfront at Hammersmith was heavily industrialised with factories and wharfs. I realised that, in my imagination, I felt I had already visited Kelmscott House. Long ago, when I read Morris’ novel News From Nowhere, I was seduced by his vision of a homespun Utopia that had turned its back on industrialism. In my memory, as if in the moonlight of a dream, I joined the characters as they departed Kelmscott House and undertook the journey up the Thames from Hammersmith to Kelmscott Manor in Oxfordshire, travelling a hundred years into the future. In reality, it was one of the brightest days of our rather disappointing summer when I paid my visit to Kelmscott House. Comparable to the experience of visiting a location from a dream, there were compelling details which evoked that faraway world, even if time and change had wiped away almost all of the evidence of Morris’ occupation of the house. “Let us hope that we shall all grow younger there,” he wrote to Jane with forced optimism in October 1878, just before they moved in. Walking through the narrow passage beside The Dove, you discover the wide expanse of the Thames on the left and Kelmscott House rising up on your right, presenting an implacable frontage to the river. You enter through the area stairs on the left of the house, leading down to the kitchen, and immediately you notice a wall of original trellis wallpaper, designed by Morris with birds drawn by Philip Webb. If no-one told you, you would assume it was a recent reprint since these papers remain in production today. 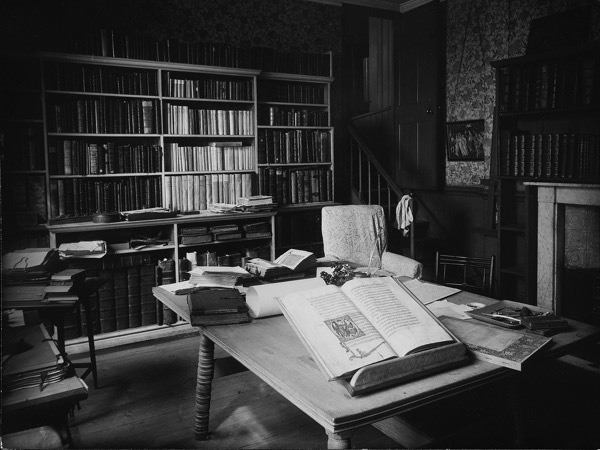 The low-ceilinged basement rooms are now the headquarters of the William Morris Society, where you may admire his Albion Press before climbing stairs again into the former coach house. 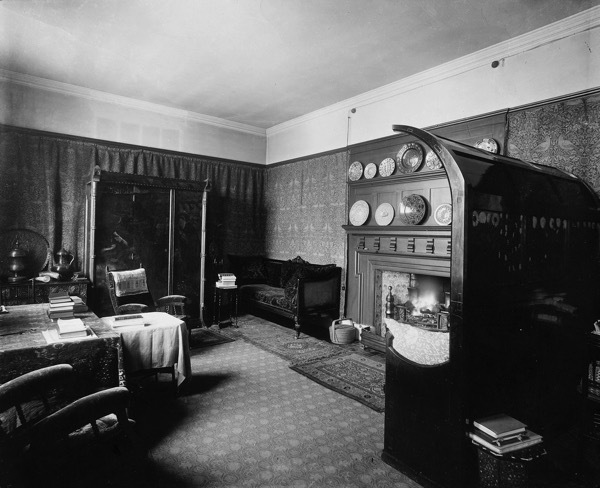 This long narrow room was employed by Morris as a workshop for knotting carpets, also lectures and meetings of the Hammersmith Socialist League were held here. 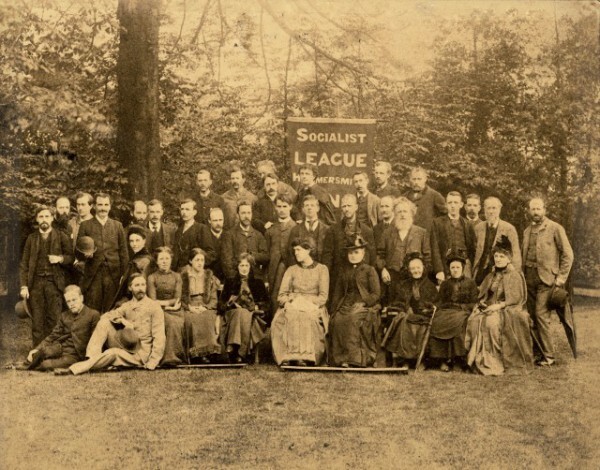 During his final years at Kelmscott, Morris became increasingly involved with politics and the Socialist cause. 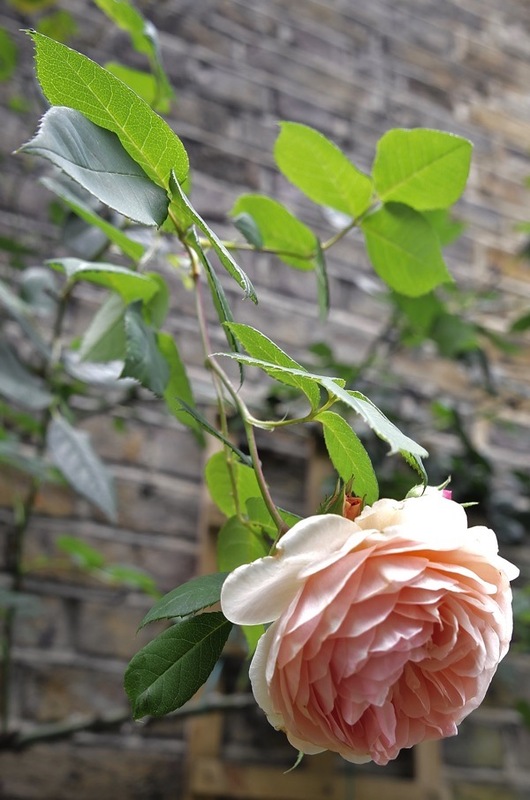 The garden no longer stretches to King St, just as far as M4, yet it is impressively generous for a London garden, with well-kept herbaceous borders and a wide lawn. 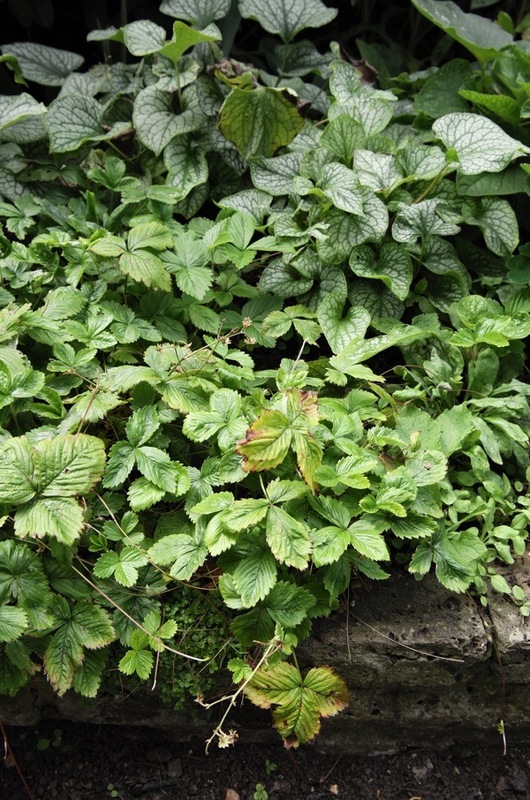 Most fascinating to me, though, was the strawberry patch – since William Morris’ Strawberry Thief is one of his most celebrated textile designs, inspired by his experiences at Kelmscott Manor where the thrushes raided his soft fruit. Approaching the house from the rear, it presents quite a different aspect than from the front, with assymetric projections and a bowed turret. The high-ceilinged dining room at the back was especially offensive to Morris with its Adam detailing and Venetian window. This seems a curious prejudice to the modern sensibility. Perhaps our equivalent might be those eighties post-modern buildings which have not aged well. 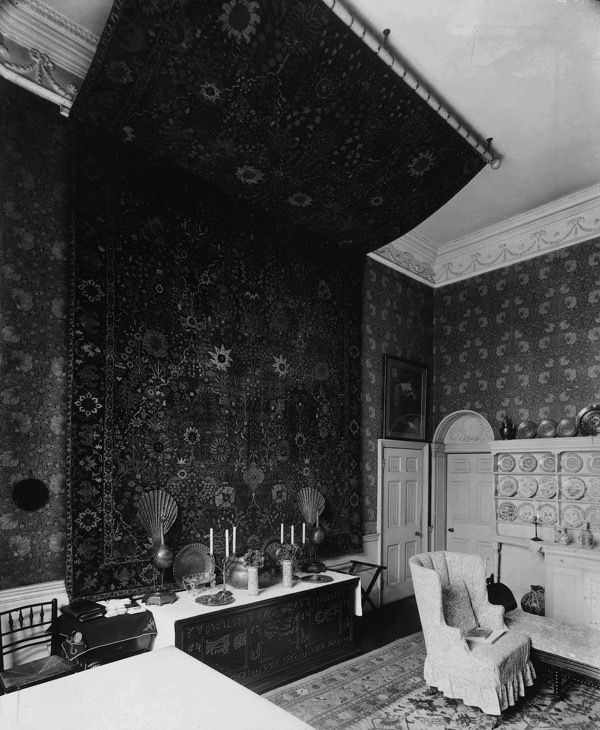 Fortunately, Morris suspended a vast sixteenth century Islamic carpet across one wall and part of the ceiling, drawing the eye from the Georgian elements which he found so hideous. 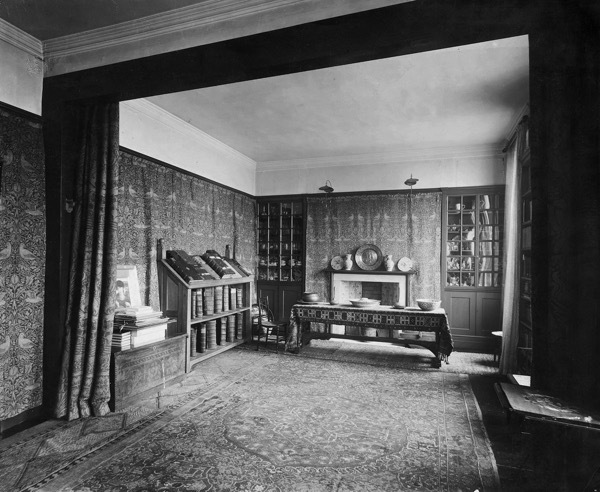 Emery Walker photographed the interiors, capturing Morris’ personal sense of interior design, employing lush textiles and extravagant antiques, mixed with furniture painted by Philip Webb and fine oriental ceramics. Architecturally, the most impressive space is the first floor drawing room which spans the width of the house, created by George MacDonald by knocking two bedrooms into one. In this south-facing room, the views over Chiswick Reach are breathtaking. 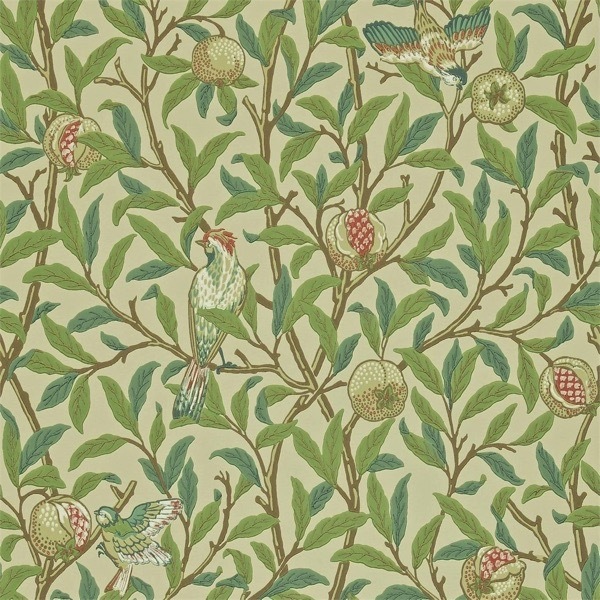 Morris lined it with a rich, bluish tapestry of birds in foliage that he designed for this location. A huge settle painted with sunflowers by Philip Webb once sat beside the fireplace, lined with blue and white tiles manufactured by Morris & Co and still in situ. 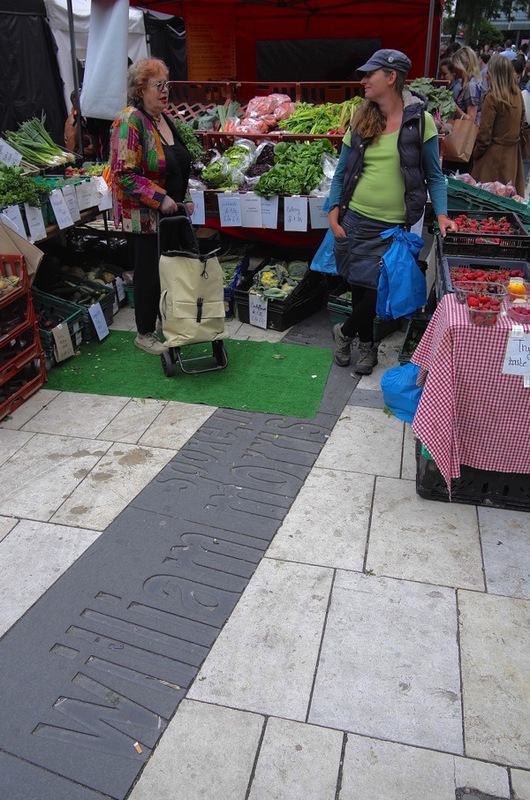 I walked back along King St to the tube, past the Lyric Sq Market where William Morris once spoke. I thought about him taking the District Line back and forth to visit East London for public speaking – and I decided I should trace his footsteps in the East End next. Thank you so much for sharing this with us all. i too walked by many times and wondered whether any vestige of William Morris’ life and work remained inside. 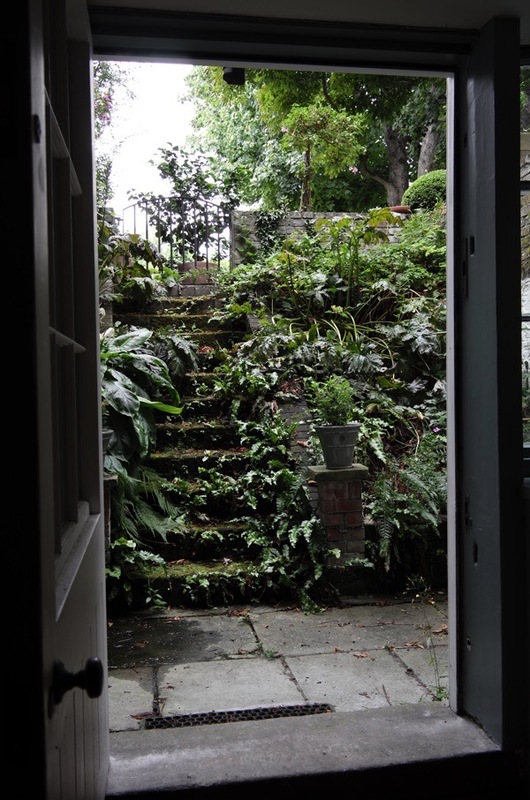 I love seeing the designs he produced that are still so popular today, but my favourite of all these photographs is the one showing the view up the moss and ivy-strewn steps from inside the door. “As she withdrew from her marriage” is very finely put. — Thank you for the images. A slightly easier journey now (one change at either Victoria or Finsbury Pk), as opposed to, one then ( Hammersmith-to-Liverpool St & then the GER to Walthamstow) ! I love this stretch of the Thames. How lovely to gain access to this important home. There is a little museum at the side of the house open to the public. 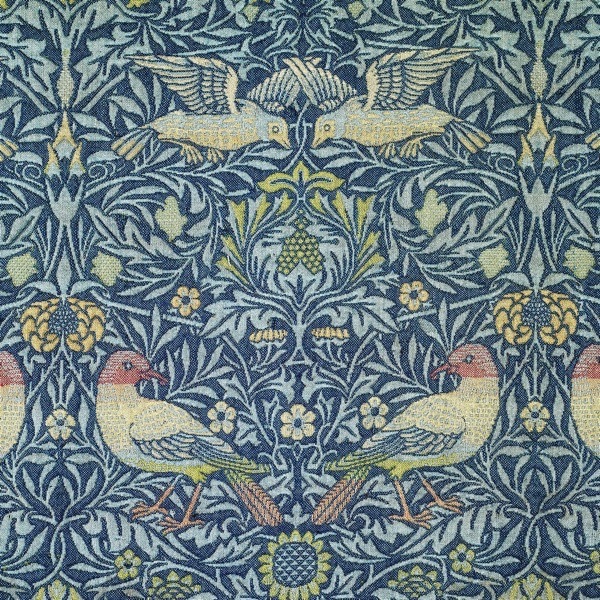 Today we are entering the house of William Morris some of his tapestry designs shown are exquisite all around the house. I did like his Strawberry Thief design so bold. 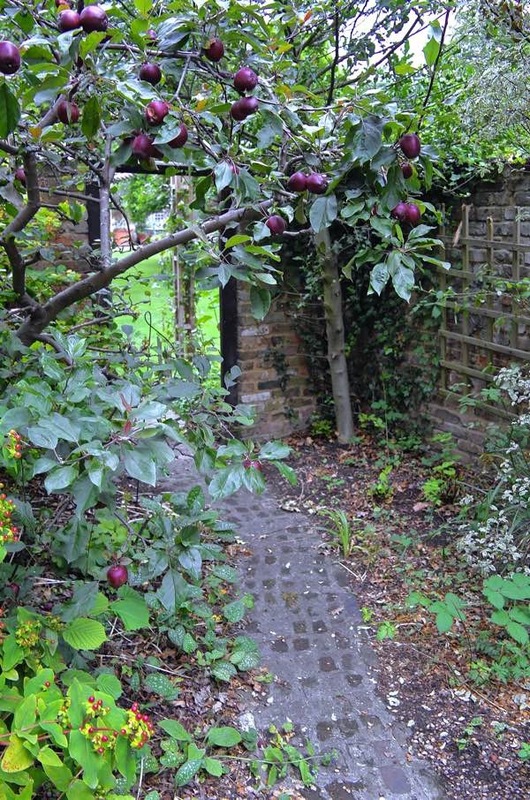 As a artist/designer and author he needed space, here at Kelmscott House he got it. Not for living so much, for all his creative work it was the centre of his world with book output aplenty. There would have been many tryouts and first pulls-offs on his Albion printing press leading to many titles. The house shown here is pristine !no this was a working environment for a genius I am sure the floor would have been littered with debris from old tryouts, ink smudge sheets etc. GA did us proud today with a good expose thanks for that. Poet John. – PS I am sure there is still lots of William’s presence in this house. As he said “I want to get mumbo jumbo out of this world” So wallpaper man has left us his design stock to prove he has lots of ingenuity and clarity for all time. Very interesting and lovely pictures as usual. It’s an odd situation. 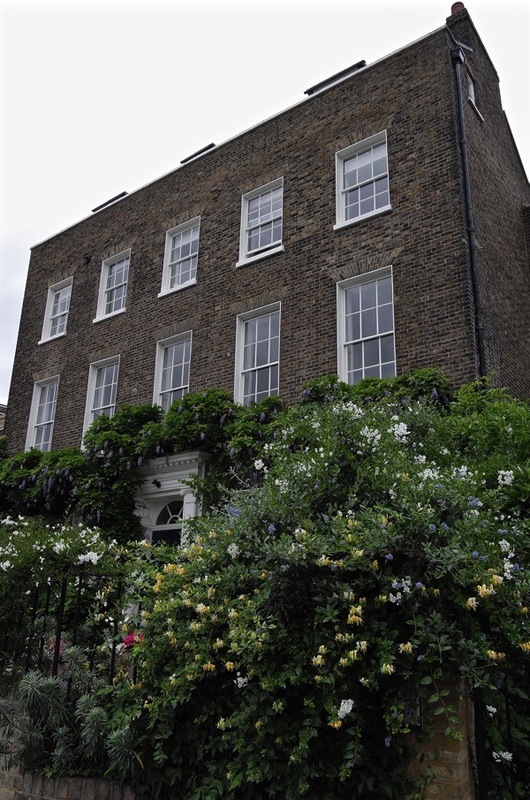 The William Morris Society let the upper floors of Kelmscott House to a tenant who took advantage of then newly-introduced Right to Buy which left the Society with just the basement. 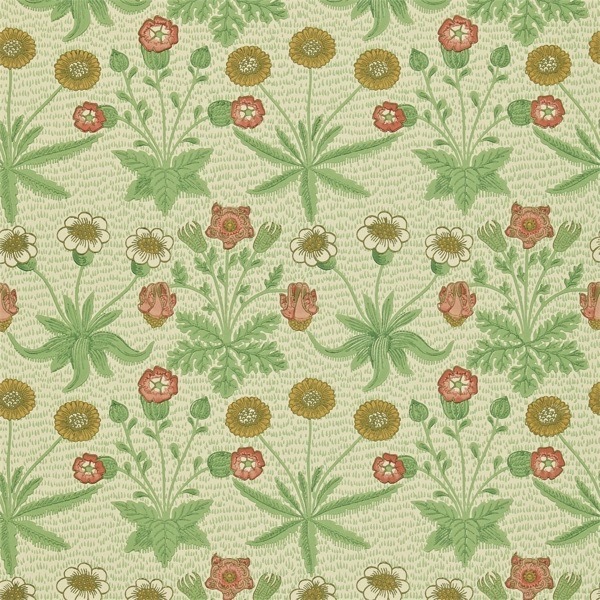 I wonder what William Morris would have thought of that. I agree with Bailey it’s such a lovely stretch of the river, and an exquisite house. A pity that the area’s become one of London’s pollution hot-spots, thanks to the internal combustion thingy. GA, thanks for sharing your tour of Kelmscott House. 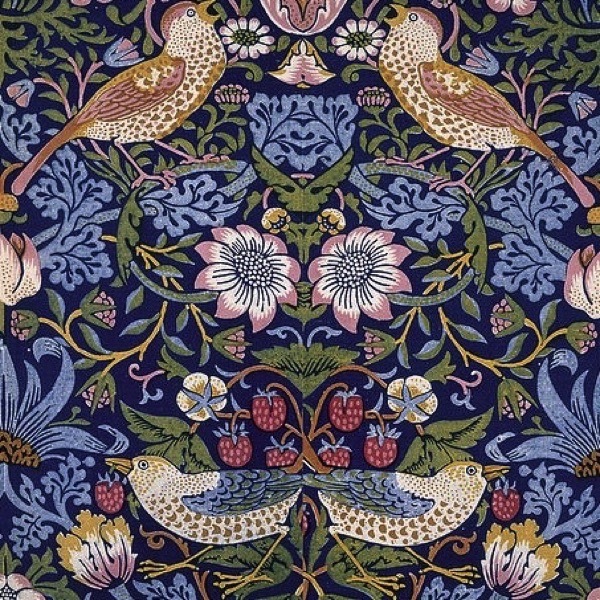 Morris certainly was a versatile figure in London’s cultural life in the Victorian Age. It is good of the present owners to welcome Morris aficionados on occasion. If I recall correctly, Morris designed beautiful illustrations for Yeats’s poetry which are featured in the National Museum of Ireland in Dublin. 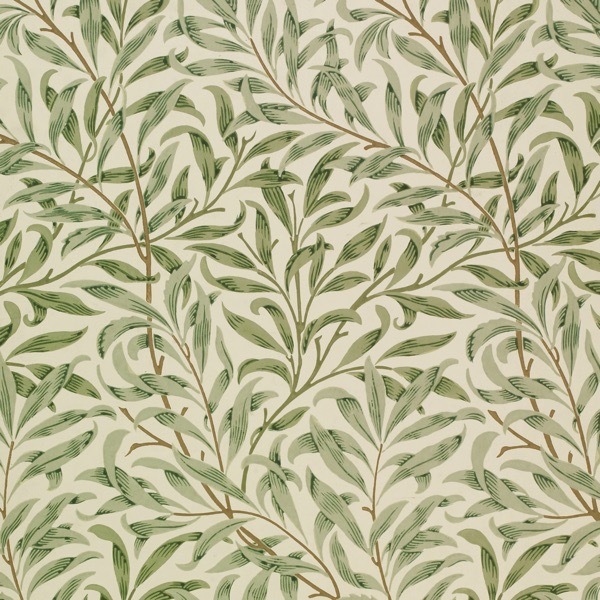 I just love Morris’s designs. 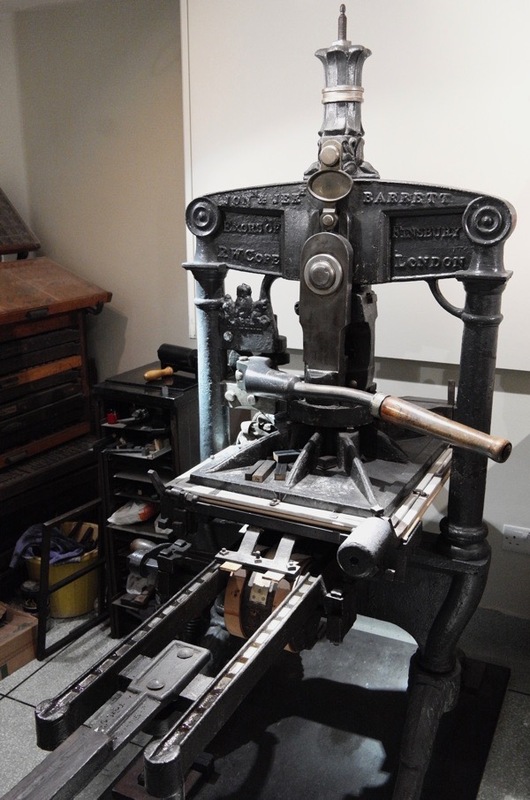 One thing that I, as an old letterpress printer noticed was a 20th century hand ink roller on the ink slab of the old Albion press. In the early days of printing the type was inked by a pair of pelt balls, rollers had not yet been invented. Going to school next door to Kelmscott House I was totally unaware of what it represented. 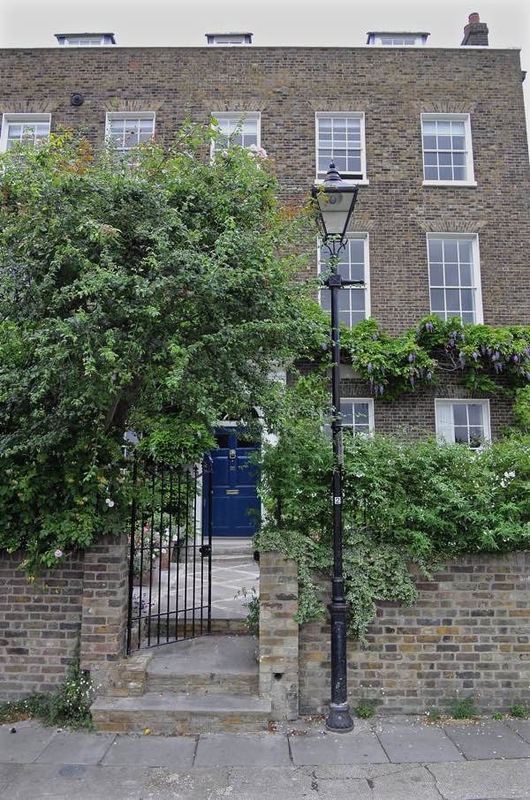 There were various houses such as this including Ravenscourt House that formed part of our school. The whole riverside area with the houses, gardens and backdrop of Hammersmith Bridge was a great environment that took me a while to appreciate. After the age of 16, the Dove became an added bonus. Our school may have been the only one in the country to have a subway under the A4 extension that was built in the 1950s. This preserved the integrity of the school from the river to King Street – obviously Kelmscott House and perhaps other properties suffered at this point. 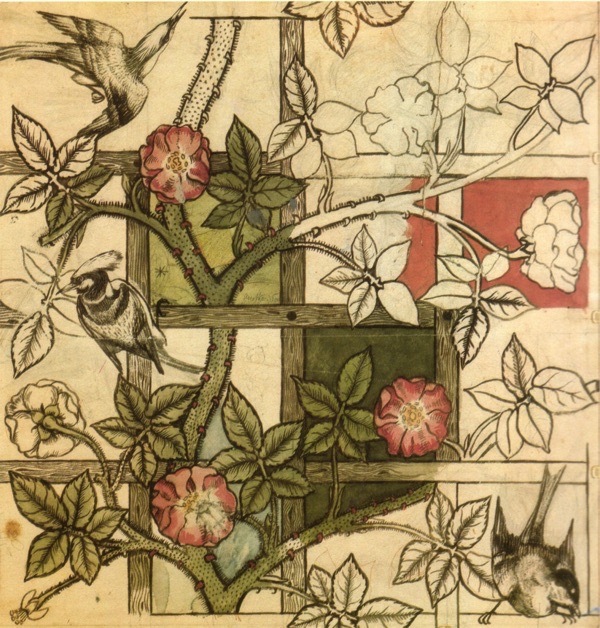 I became aware of William Morris and Kelmscott after leaving school and had a vague desire to go there some day. So thank you for this blog, GA. It has just added to my knowledge of the area that meant so much to me back in the 1960s. Thanks GA. yet more inspiration for my London visits. What drew my attention immediately was the third paper pattern shown which I believe is the same one as the cover on Mr.Pussys chair. 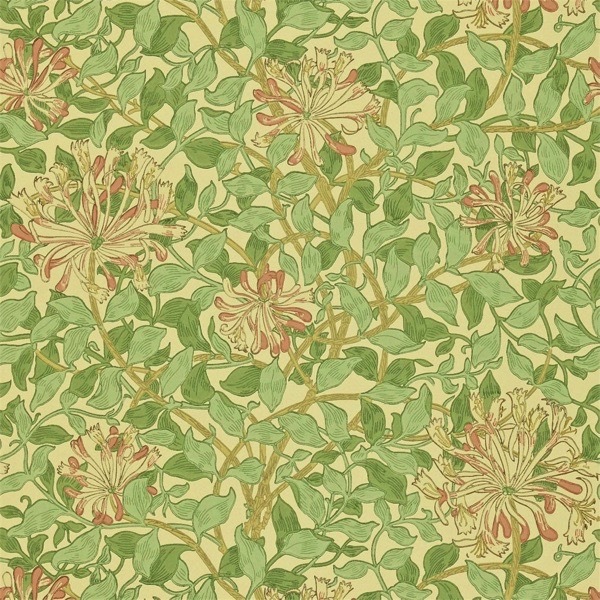 By coincidence, this was also the paper pattern used on one floors of the Museum in Chester which we recently visited and I commented on it to my husband. 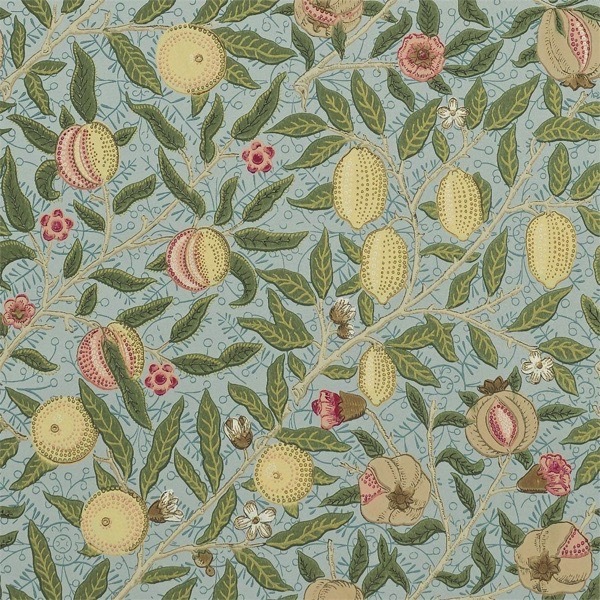 It is one of my favourite Willaim Morris prints as it’s not too fussy but now I will always associate this pattern with Mr.P. Thank so much, for all your very descriptive writings .I am now living in Australia & at 84 yrs ,my general health is in decline, so I am now unable to visit the country of my birth .I do look forward to your articles .My forefathers ,went to London from the West Country , for a better life & ended up in the East End slums as many others did.